Ensure you have a pan large enough to comfortably hold all of the ingredients and capable of withstanding the wood-fired oven temperature. An old metal-handled saucepan is ideal, as this makes pouring and straining easier. Juice the oranges and lemons and add the juice to the pan. Pour in one glass of wine and all of the spices. Place the pan in the mouth of the oven and allow to warm and infuse for 20 minutes. Add the honey and place in the oven to simmer for a couple of minutes. Remove and add the rest of the wine, brandy and marsala. Place in the oven for five minutes, or until warmed through. Remove before it boils or you will start to lose alcoholic content. If you like a rough mulled wine, ladle straight from the pan. 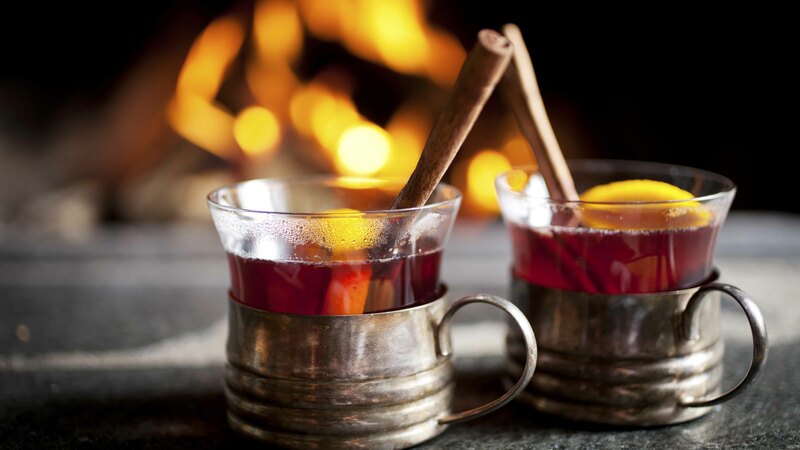 If you prefer your mulled wine smooth, sieve it into a jug or bowl before serving.